Burlington won their fourth straight game as Jordyn Adams provided his second walkoff hit of the young season. The Bees came from behind twice to take the series opener against the Beloit Snappers 9-8 in ten innings. Burlington gave up four runs before they came to the plate Monday night. They were down 6-2 after five. With one out in the home sixth, D.C. Arendas hit his first home run of the season. Connor Fitzsimons singled, then scored on a Michael Stefanic triple making it 6-4 Beloit. Adams followed with a sacrifice fly and the Bees headed to the seventh down one. 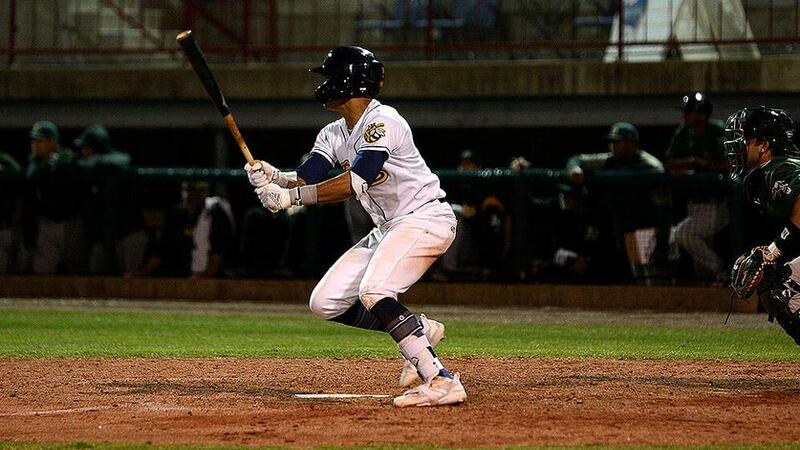 Catcher Harrison Wenson tied the game leading off the bottom of the eighth with a 415 foot blast to center, and Burlington, which led the league in extra-inning games in 2018, was headed to their first of this season. In the top of the tenth Burlington pitcher Luke Lind gave up two runs on a sac bunt, a walk, a double and a sac fly. The Bees were not done. Gleyvin Pineda started the bottom half of ten at second. With one out, he moved to third on a wild pitch. Wenson walked, followed by a free pass to Arendas to load the bases. Fitzsimons was hit by a pitch, scoring Pineda. Stefanic single to right collecting his third RBI of the night, scoring Wenson, and setting the stage for Adams to drive in his second run of the game, winning it for Burlington. Stefanic finished the game 4 for 5 and a home run shy of the cycle. Cristopher Molina threw five scoreless innings.